Q1 2016 brought a decline in net income for Japan-based Rakuten. A leading Japan-based internet company listed on the Tokyo Stock Exchange under ticker 4755 with nearly ¥1.75 trillion ($16 billion) in market cap, Rakuten Inc., today reported its consolidated financials for the first quarter (Q1) for the three months ending March 31st 2016, showing a quarterly decline in net income, while reporting growth in key operating metrics compared to Q1 2015. One of the group’s subsidiaries, Rakuten Securities, is one of the largest Japanese FX brokers, and operates regional businesses including in Hong Kong, following an acquisition of one of FXCM’s prior businesses nearly a year ago. Rakuten Inc caters to over 108 million clients through its diverse internet business lines, with over 70 group services, including FX trading, as well as banking via Rakuten Bank. 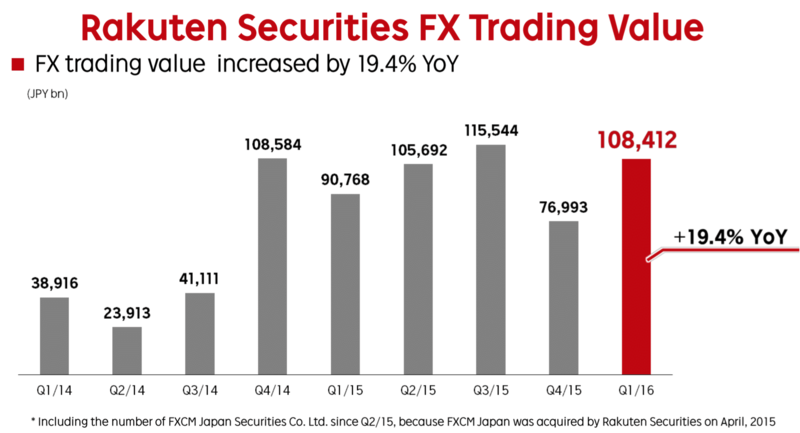 An excerpt from the company’s filings show that FX trading values reached a total of ¥108 trillion for its forex transactions during Q1 2016 within its Rakuten Securities subsidiary, and this Q1 FX value was higher by 19.4% compared to Q1 2015, and up by over ¥31 trillion compared to the prior quarter – a nearly 41% increase quarter-over-quarter. Rakuten Inc. reported consolidated operating results under IFRS standards, which resulted in ¥180.3 billion ($1.65 billion) in revenues, up over 13% year-over-year, yet operating income of more than ¥22.9 billion ($210 million) for Q1 2016 was lower by 21% when compared with the same quarter in 2015. On a non-GAAP basis operating income was ¥26.7 billion ($245 million) yet still lower by 16.8% YoY. As a result of the Q1 decline in its key top-line financials, net income dipped to nearly ¥11.75 billion ($107 million) for Q1 2016, and lower by 17.8% year-over-year. 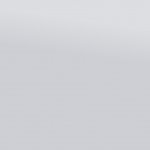 The net income Rakuten Inc made during Q1 translated into an earnings per share (EPS) of ¥8.20 on a diluted basis, and lower from ¥10.66 that had been reported for Q1 2015. 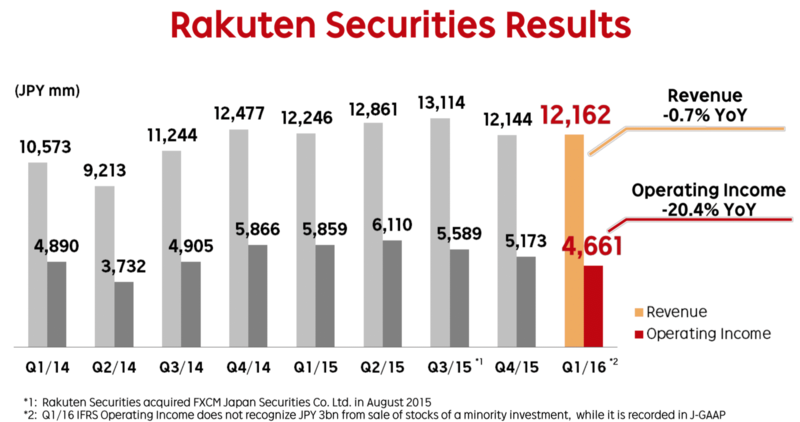 The company’s banking operations, Rakuten Bank, had nearly broad improvements across some of its operating revenue and income related line items, which included operating revenue of ¥16.3 billion ($149 million) for Q1 on an IFRS basis, and was higher both year-over-year and over the prior quarter. 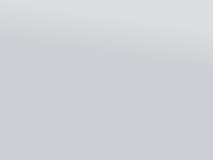 The company’s FX trading division also announced plans to launch MetaTrader4 (MT4) trading by August, and provided a series of answers to frequently asked questions (FAQs) in order to inform clients about the planned product offering. The company’s securities segment represented ¥12.16 billion ($111 million) of the revenue during Q1, and that total was little-changed from the prior quarter, yet operating income of ¥4.66 billion was lower by 20.4% over the same period, quarter-over-quarter (QoQ). 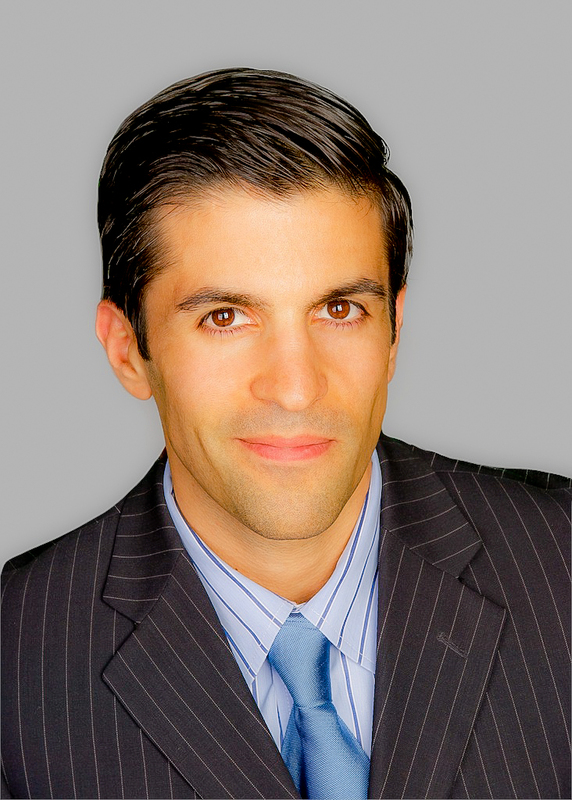 The company’s earnings release noted that a normalization of U.S. monetary policy and the impact of the falling crude oil prices should be taken into consideration with regard to the market environment, along with the sluggishness of the Japanese economy which despite challenges continues to make a gradual recovery including in wage and employment conditions. Despite these challenges, Rakuten Group said that it has made further steps towards its growth actions plans that were announced in February, including promoting its Vision2020 strategy within the firm. Shares of Rakuten were down 1.25% around time of publication following the news. The company also reported about its Fintech segment, after launching related fund last year that’s dedicated to making investments in new financial technologies. The company is making strides in its card wallet share of major e-commerce players, including against Yahoo Japan, and Amazon, with Rakuten Ichiba increasing its market share by nearly 3% to almost 83% of the market share at the end of Q1. 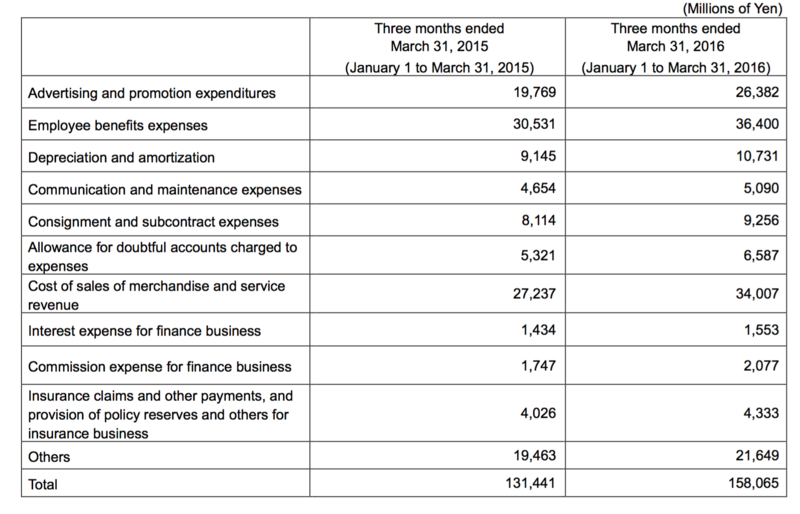 A breakdown of the company’s operating expenses comparing Q1 2016 year-over-year can be seen in the table below excerpted from Rakuten’s Q1 earnings release.